YoDoc - Give your loved one a voice! 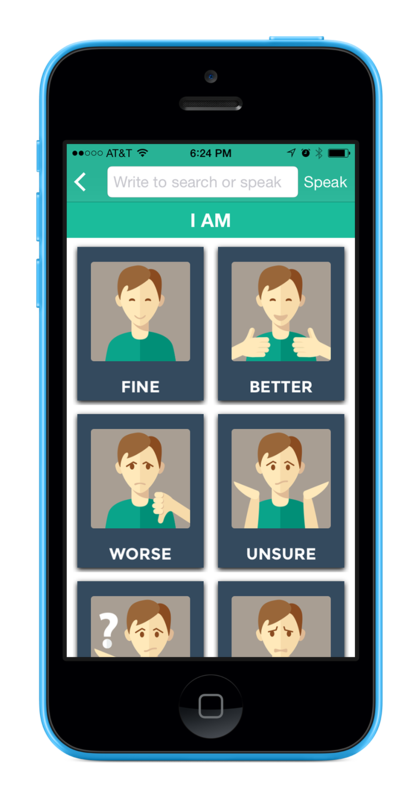 A communication tool for people with speech impairment due to critical medical conditions. 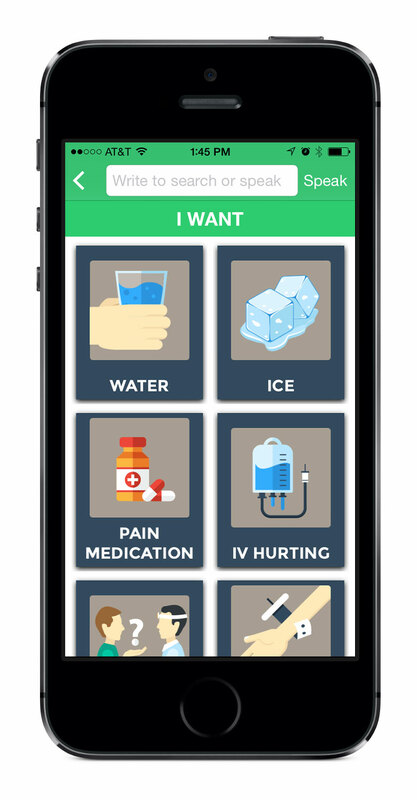 App comes bundled with an exhaustive list of phrases that hospital patients commonly use. Communicate with ease by simply touching them. No more typing needed. List too long to find the phrase you are looking for? No worries, just start typing the first few characters to filter the list. 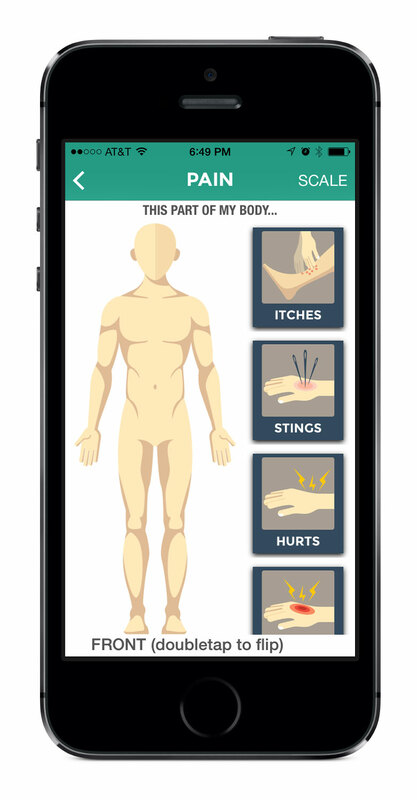 Draw the pain area using your finger and say how you feel! Easy access to both front and back of the body pictures. 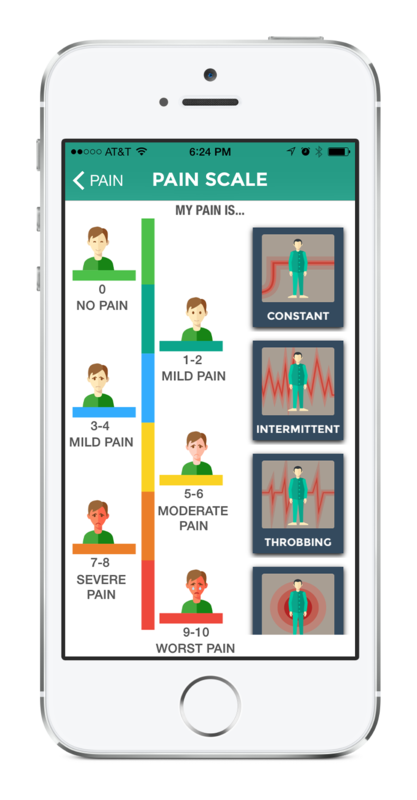 Colorful and clear pain scale to communicate your pain level and intensity of your pain. Can't find the phrase you want? Just type what you want to say and press 'speak' to speak it out. The bundled phrases are represented by big and clear pictures to help patients under medication see them better. No squinting needed! 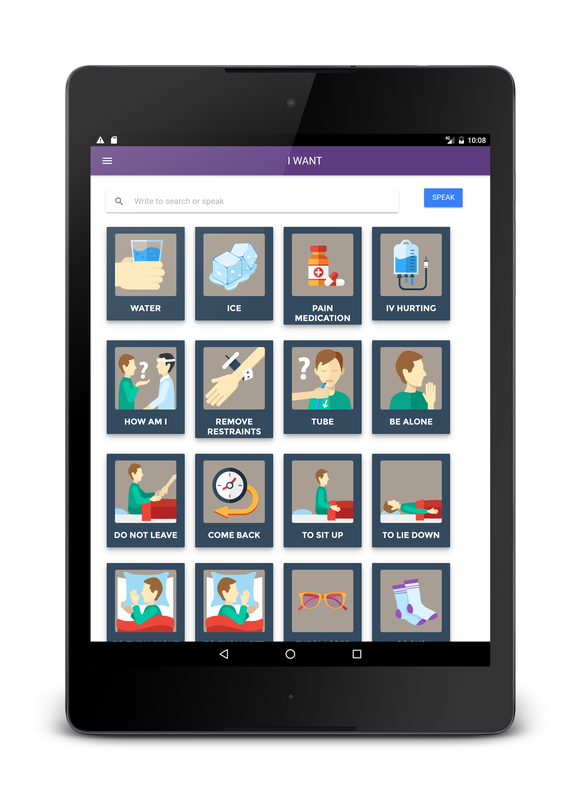 Switch the app between English, Spanish, Chinese, Korean and Hindi display modes to help with patient's native language. The speaker language is always English irrespective of the display mode setting. Available on all your IOS devices. Imagine how frustrating it is to not being able to communicate with others in your normal life. Now, put yourself in the shoes of a patient in the hospital who is already traumatized, whose vision is impaired due to all the medication, who has a limited motor control due to the tubes running allover and who is in need of much more help than a person in normal life. Patients in this situation often struggle to communicate their needs, concerns and get help. They try to mouth the words and use gestures with the hope that the care providers understand what they are trying to say. When no one is around, if the patient needs to call front desk for help, with impaired speech, they cannot say what they need over the phone. Such difficulties leave both the patient and the care providers frustrated. 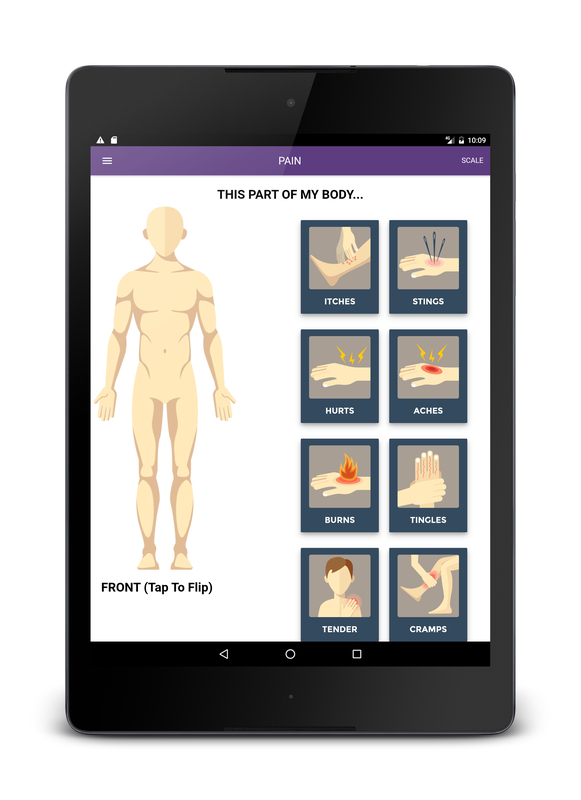 YoDoc tries to help patients overcome these difficulties while they are in hospital and in their recovery process. With touch of a button, they can speak out any of the phrases that comes with the app or write their own phrases to be spoken out. 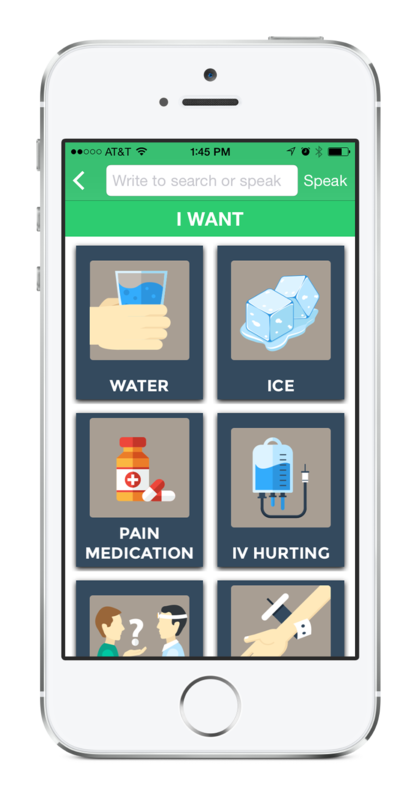 The big buttons, pictures and text in the app makes it easy for the patients with impaired vision to communicate with ease. Patients can also show the exact location of the pain with the drawing tool and say how they feel. The app is available in English and Spanish languages. Speak out the phrases and reduce the guess work. Draw to show pain area and pain scale. Big and bold buttons and text for better visibility.